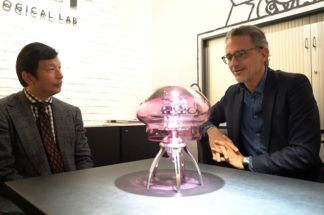 Some see a sea creature — a jellyfish — others suggest that it looks more like a flying saucer, bottom line is that at SIHH 2017, when the HM7 was launched, it was nothing short of a hit. 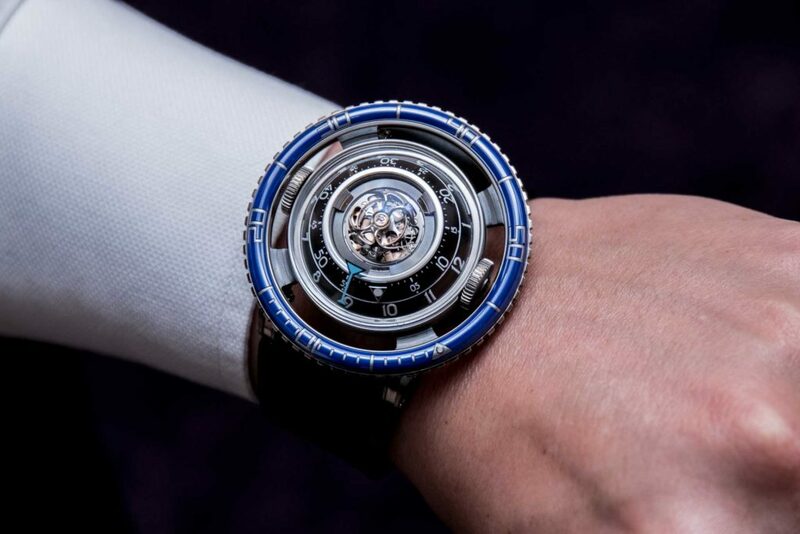 Held under a bulbous sapphire crystal, the HM7 Aquapod houses a vertically built up movement, showing off a central flying tourbillon at its top. 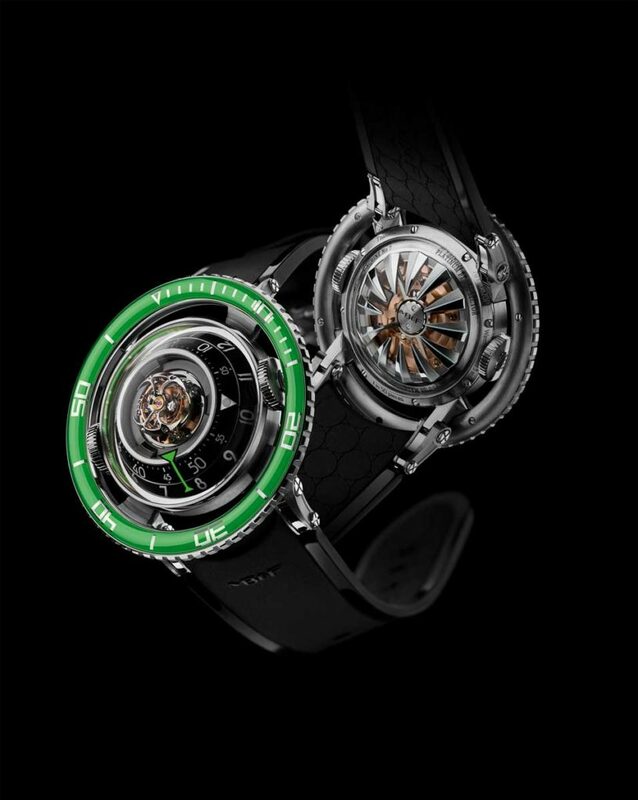 Time is told by two concentric circles, which hold the hours (outer ring) and minutes (inner ring). 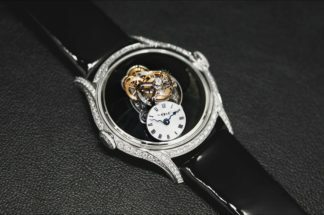 You’ve got two crowns, placed on the central case structure, where the one of the left winds the movement and the one of the right sets the time. 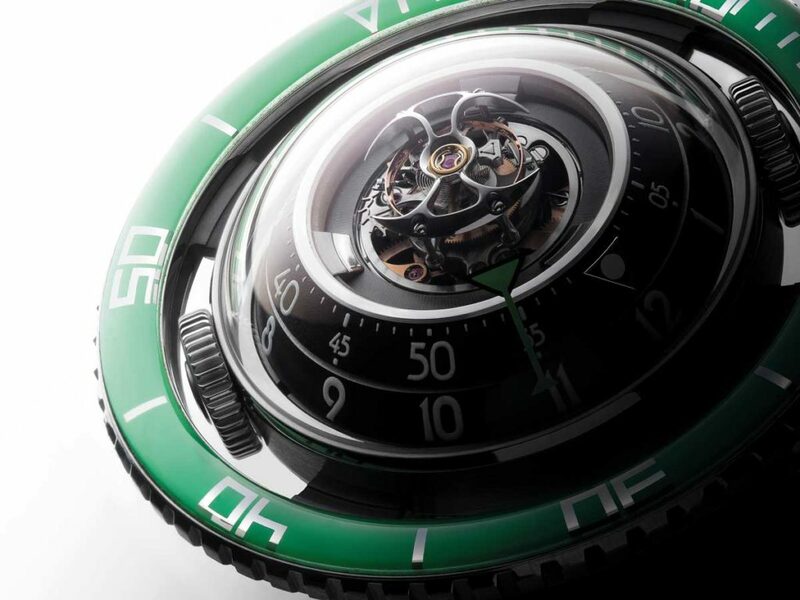 Then there’s the unidirectional rotating bezel that seemingly floats outside of the primary watch body. 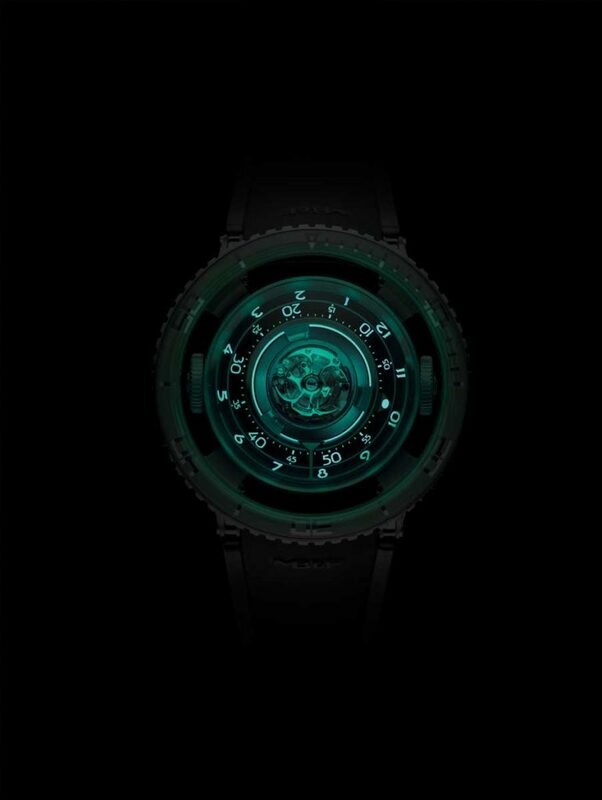 The insert used on the bezel, as we already know, is ceramic and at the time of initial launch there was the titanium version with a blue ceramic bezel limited to 33 pieces and a red gold version with a black ceramic bezel limited to 66 pieces. 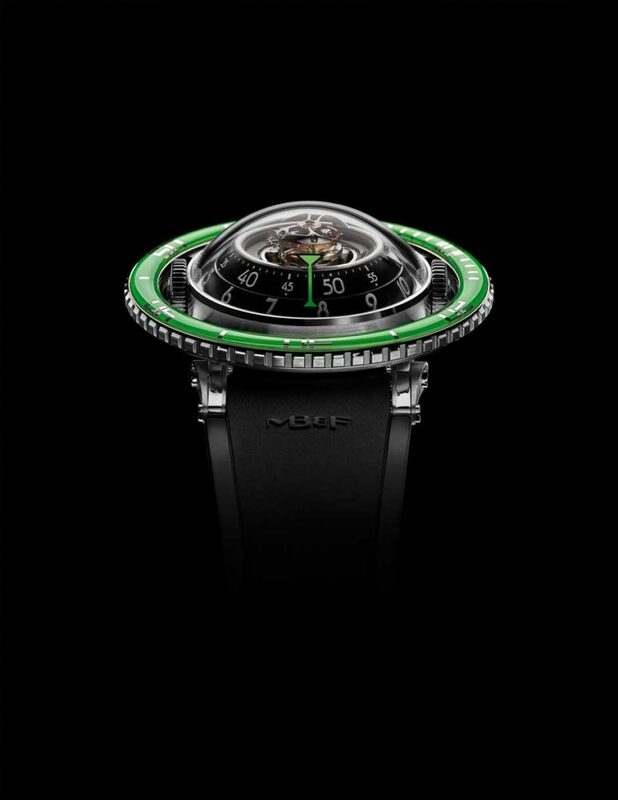 And now, just about a year after, MB&F have announced yet another titanium piece, this time with a green bezel, but not a ceramic one. 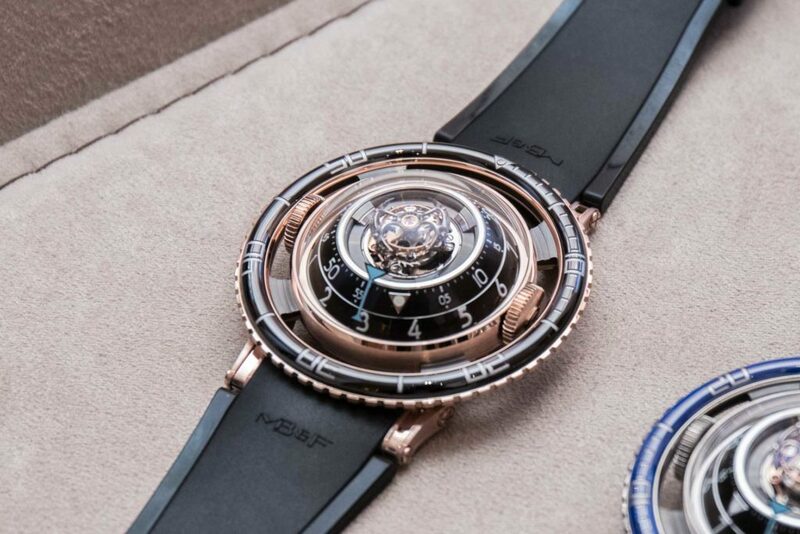 In the case of the ceramic bezels, MB&F first engraved the numbers and markers onto the surface first using a laser and then filled the engravings in with metalized titanium. 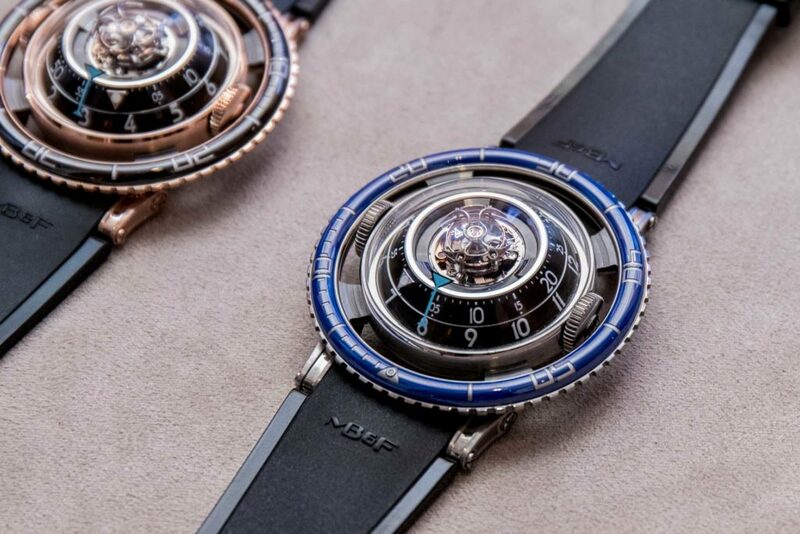 However, in order to achieve the green that they wanted for the new one, MB&F gone on to a different material: Sapphire. 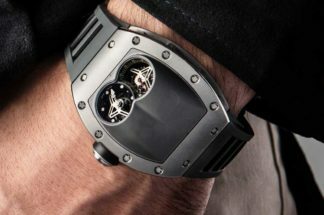 What they’ve done is that they’ve used a sapphire ring and then printed metalized numbers and markers on the under-surface of the bezel. 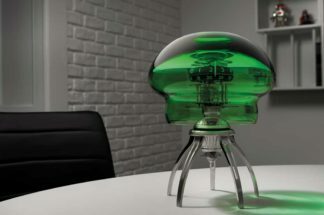 Thereafter, a layer of green lacquer is applied to the surface where the bezel is placed. 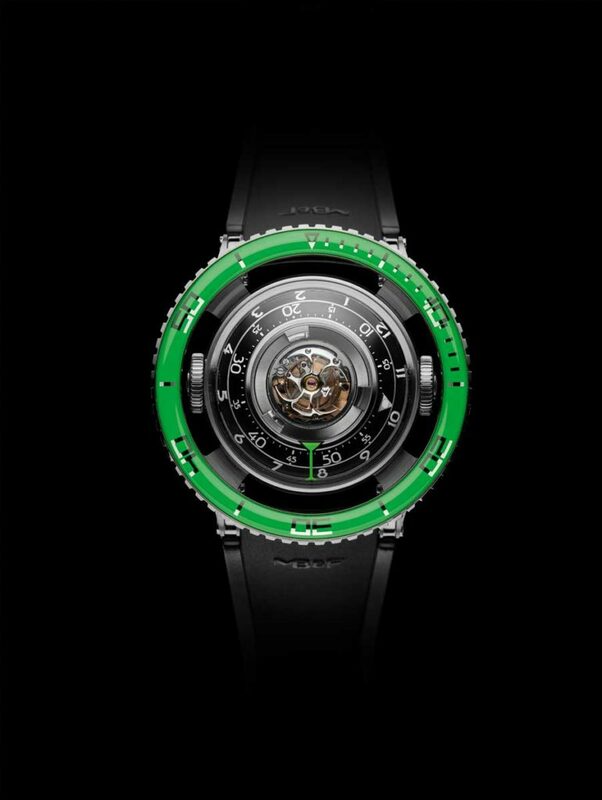 The green edition of the HM7 will be made in a limited run of 50 pieces and is priced at CHF108,000 (before taxes).